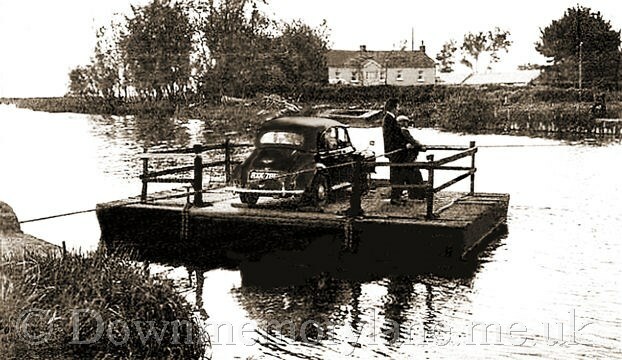 For more than 150 years the hand-operated Bannfoot Ferry carried a wide assortment of people, animals, horse-drawn carts & cars across the fast-flowing waters of the bann. Bann waters at the remarkable age of 88. His family had been working the ferry for over a century and Willie had been operating it for nearly all of his working life. to travel on it in her husband's car. "The man went over on his own and left her behind," he said. "But about an hour later he was back inquiring anxiously about his wife. He needn't have worried a bit. You see, there were plenty of auld fellows up there in the village who would have been glad of her to look after them."